Once each month I introduce All Things Paper's talented sponsors and highlight some of my favorite items from their shops. A warm welcome to new sponsor Partycraft Secrets [edit: site no longer available]. Owner and creator Linda B has an endless supply of clever ideas for crafting with young children. 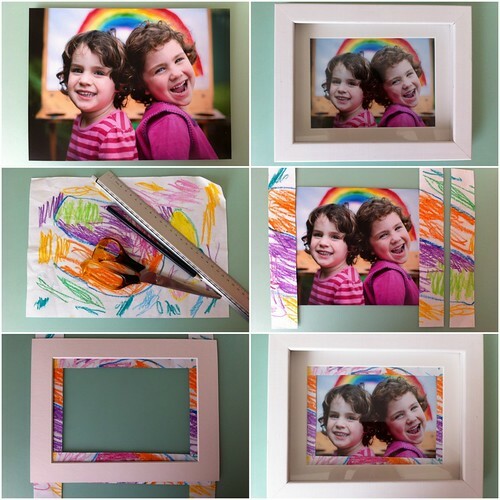 With the help of her adorable daughters, Linda demonstrates "classy crafts" that are fast, fun, and affordable. Written in an engaging style, Linda's theme party e-books and companion paper printables are a fantastic resource for busy parents. 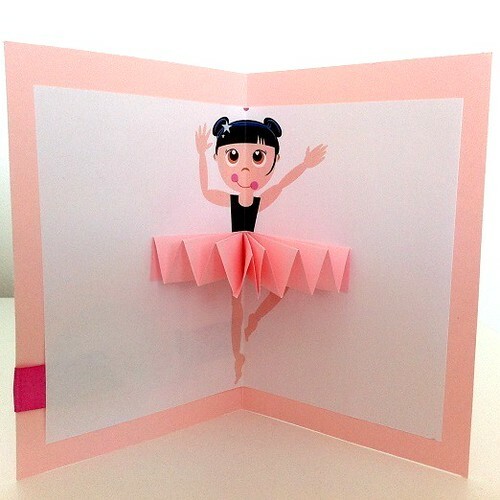 As an example, here's a cute invitation idea from the Ballet party e-book that would be so easy to recreate. And with Halloween on the horizon, you can be sure there's an e-book for it! 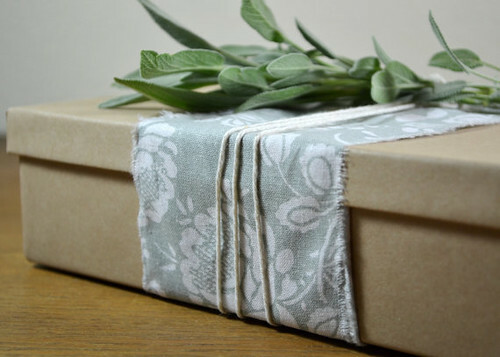 Something new at Wrap and Revel are fabric sashes that will take your gift wrapping to the next level. Shop owner Melissa Bilyeu shows a neat way to dress up a kraft paper box with a sash, twine, and herb sprig. 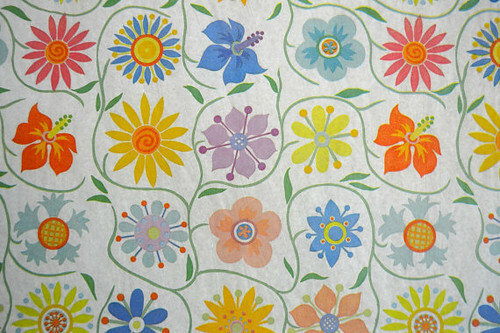 She stocks a beautiful variety of patterned tissue paper. Mix and match from a wide selection of ribbons, stickers, washi tape, baker's twine, bags, and boxes. 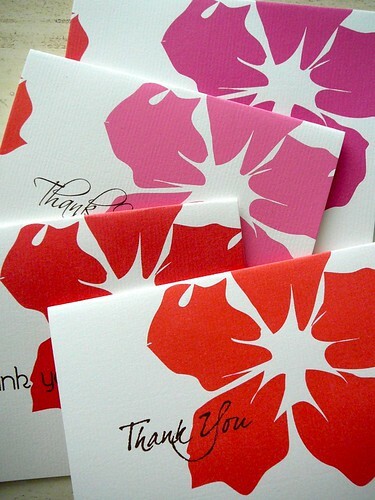 All Things Paper readers receive a 25% discount on all items at Wrap and Revel by using the code Paper25 at checkout. Sara Tejada of Inkprint Letterpress [edit: site no longer available] is gearing up for the holiday card season in between printing custom invitations, birth announcements, and business cards. 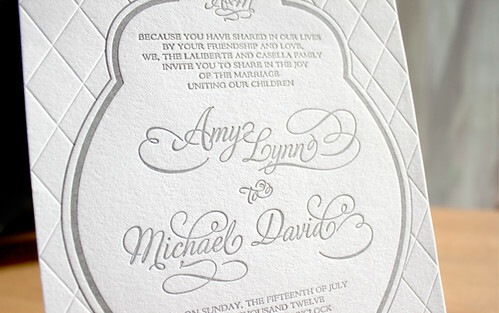 Here's an example of one of her elegant wedding invitations. 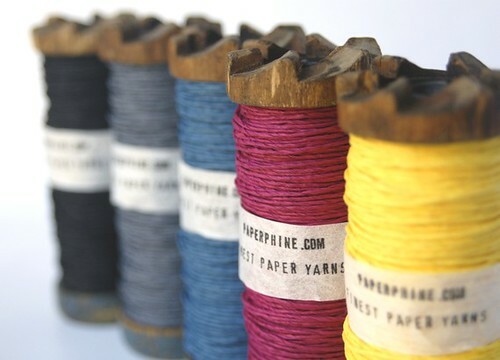 Not only does PaperPhine stock an array of unique paper twines and yarns, but owner Linda Thalmann and the girls at PaperPhine use it to create eye-catching jewelry. 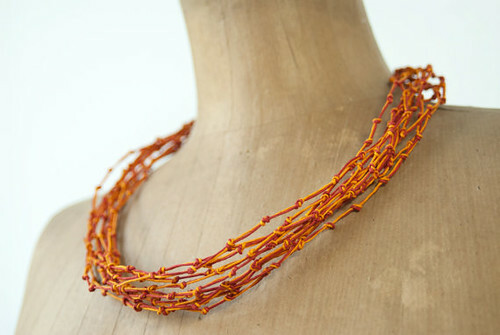 This red and orange necklace has been knotted by hand and fastens with a wooden bead. Paper twine is available in many shades from muted to bright. It's even durable enough to withstand a dunking! 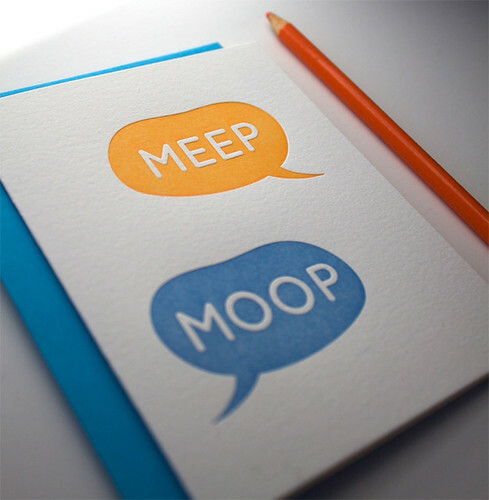 Lovely and bright note cards designed by Brooke Rasmussen at Brookeshore Designer Stationery [edit: site no longer available] are a great way to stay in a sunny frame of mind all year long. 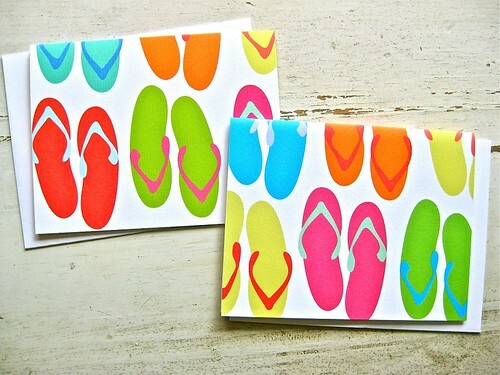 These Flipped cards are an ode to summer... they make me smile every time I see them! Perhaps take a moment to visit these quality shops - I think you'll be glad you did. Thanks for sharing these info Ann. Love it all especially the cute ballerina.